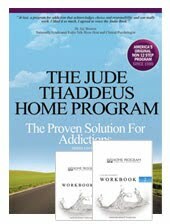 The Saint Jude Retreat Home Program has long been the best self-help book available for people with substance use problems, and they’ve just released a 3rd and much improved version of the book. The new edition is endorsed by Dr Joy Browne, and is also available in an audio version voiced by the experienced broadcaster. Today, we’ll look at what makes the Saint Jude Retreat Home Program so effective, and how it’s been improved with the new edition. First and foremost, the Saint Jude Retreat Program is a non-12-step, non-disease based program – which means the authors have thrown out the concepts which have been most detrimental to substance abusers. 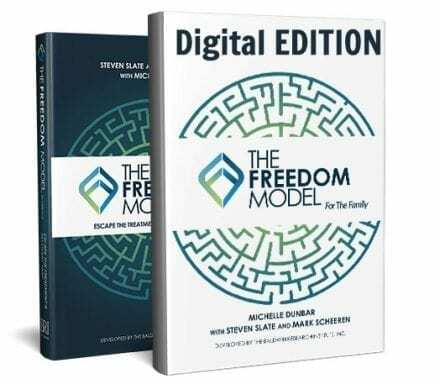 They show you that addiction is not a disease, but rather a choice, and they show you how to choose to end your substance use problem while moving ahead with a happier lifestyle. Avoiding the pitfalls of 12-step programs, you will not need to attend meetings to stay sober, you will not have to struggle one day at a time, and you will not have to create an alternate peer group of abstinent people in order to resolve your problems. You will simply harness the power of your own thinking and use it to solve this problem in the same way that you tackle any other challenge in life. 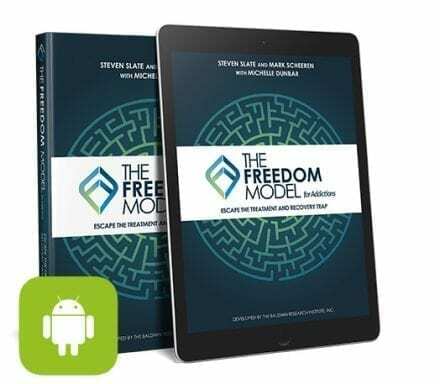 The Freedom Model is not a program; it is a universal philosophy which states that all people have the right, the ability, and the inherent tools to think freely and to exercise those thoughts through free choice and free will, from birth to death, and that a single drive motivates every person in the human race: the pursuit of happiness. This sets the foundation of where you’ll go with this program. You will quite simply tap into your basic human motivation for happiness, and judge for yourself whether your substance use habits are helping you to attain that. You’ll examine your own decision making processes, understand why you, personally, may be choosing excessive substance use, you’ll explore new thought patterns on which to base your decisions, and you’ll come up with better options that are based on your own individual pursuit of happiness. The biggest addition to this version of the book, and the one I’m most impressed with is the concept of neuroplasticity. Now this may sound like a pop-science buzzword, and many certainly use it that way, but it’s an important concept. Technically, the term neuroplasticity simply refers to changes in the brain, but on a wider level it refers to an important conceptual revolution. It was previously thought that the brain was hard-wired in the womb and in the early stages of life so that old dogs couldn’t learn new tricks, and that well before you were even an adult, your brain and thus psychological well-being would be set in stone for the rest of your life. New research has shown that this is not the case, that the brain can be changed throughout your life, and that it’s constantly being rewired by our thoughts, experiences, and behaviors. The Saint Jude Retreat Program uses this concept to turn the brain disease theory of addiction upon itself. Where the disease propagandist sees brain scans as evidence of a disease which causes compulsive drug taking, the Saint Jude Retreat Program sees evidence of the very normal phenomenon of neuroplasticity – yes the brain changes, but it also changes back, and/or eventually into a new and better structure – furthermore, it changes simply through the application of new patterns of thought and behavior. 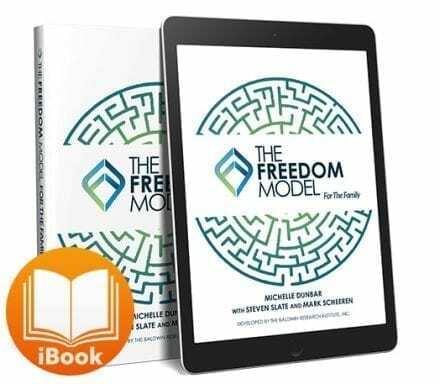 The authors introduce this concept in the 3rd chapter, and then seamlessly weave it in throughout the book, reminding the reader that he has the power to change his brains and behavior, that his own thoughts are ultimately more powerful than the influence of illicit substances. Wherever common addiction concepts come up, they’ll be sure to remind you of the implications of neuroplasticity on that concept. And wherever the Saint Jude Retreat Program own foundational concepts and cognitive exercises are shown, they’ll also be sure to remind that you can and will change for the better. I love self-help books, and there is a certain level of effect that the mere act of seeking out a self-help book and reading it creates in your life. Sometimes, this is enough for many people to change. The fact that they decided to help themselves is what set the change in motion – regardless of what was taught in the text. But, for some of us, this isn’t enough. We have big problems and need to make big changes, and the things we hear may go in one ear and right out the other – we may agree with what we read, find it applicable to our lives, but never actually apply it. In contrast to other self-help books, the Saint Jude Retreat Program is also very helpful to this crowd. The authors of the Saint Jude Retreat Program have been teaching people how to change their substance use habits for 20 years at the Saint Jude Retreat Houses. They know how to teach. Thus the Saint Jude Retreat Program is a true learning experience. 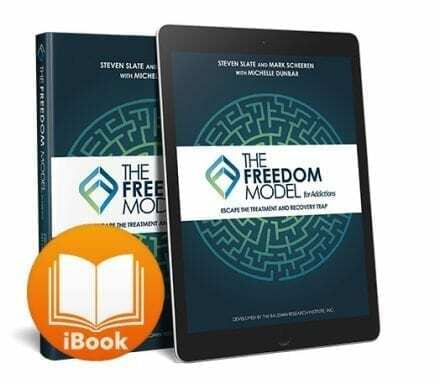 What you’ll receive is a textbook along with 2 workbooks that contain questions on each chapter designed to reinforce the core concepts taught in the text, and a variety of exercises designed to help you internalize the lessons taught, and understand the lessons on a personal level. So rather than just reading a book, you’re given the tools to actually make the concepts taught in the book start working for you in your life immediately. The text begins with a focus on choice, change, and alternatives to the disease theory up top, then it moves to philosophies for living happily with it’s section on “the five axioms”, then they teach a method for self-analysis, and they move on to a thorough treatment of goal setting, and this is all capped off with an optional appendix full of hard facts and research about the disease theory and treatment. I would like to say that the book is broken up into compact sections, it would certainly make my review simpler – but it’s not. Being a very unified theory and method of change for substance users, it naturally isn’t so compartmentalized. The discussion of each topic naturally flows and branches off into others. In my opinion, this is good, because there is a feeling of connectedness between all the concepts which makes it easier to get excited about boldly applying it to your life. This is where I’ll offer up my own experience with the program. I am basically an atheist, possibly an agnostic. When I was originally taught the JTP at the Saint Jude Retreat House I was done with hearing about god and/or higher powers. It didn’t make sense to me and provided a roadblock to change. There was a lot of god talk in the textbook back in 2002 when I went through the program, however, I came out the other end, after enthusiastically embracing the program and eventually teaching it to hundreds of others – still an atheist, but without a drug problem. While there is still talk of spirituality & god in the program, the new text has played down the god talk considerably, and now presents it in a “take it or leave it” way. The reader is shown in no uncertain terms that they can change their habits and find a more fulfilling life no matter what they believe about god – and without compromising their personal spiritual beliefs. While other programs train the substance user to focus on avoiding substances and triggers, building coping mechanisms, and relying on support from others – the Saint Jude Retreat Program shows the reader how to get active and simply live a better life, a life in which excessive substance use just doesn’t fit. The Saint Jude Retreat Program helps the reader to take responsibility for their own behavior without wallowing in misery and guilt, and quickly move on to bigger and better things. The entire workbook is filled with exercises so that the experience is constantly active, and you always feel like you’re actively changing. Chapters 10-14 will have you analyzing your life and developing new approaches to your past problems, and chapters 15-21 will have you developing and implementing new goals for the future, actively creating a better life. This is no book for a lazy complacent person, it is for those who want something better out of life than their current state, and are willing to work for it. I also must mention that this book avoids a few common problems with alternative programs of recovery. First, they never replace the disease theory with an equally damaging concept as others do. Particularly, Jack Trimpey’s Rational Recovery comes to mind as an example. Mr Trimpey does a fantastic job of refuting the disease concept, but then he proceeds to teach that you’ve got a lizard brain constantly telling you to abuse substances – so while he helps you to escape the disease theory, he replaces it with an equivalent concept and subsequent daily struggle. There are also many programs which refute the disease theory successfully, but then blame your problems on vitamin deficiencies and toxins – keeping the cause and solution of your problems outside of where they really lay – in your thoughts and decision making processes. The Saint Jude Retreat Program avoids all of these common problems with alternative addiction recovery programs. They offer solutions which are truly empowering, and truly an alternative to the self-defeating philosophies peddled by others. They offer a solution that won’t waste your time or money. I highly recommend the Saint Jude Retreat Program. Click here to visit the JTHP website and get a copy for yourself or a loved one today. Disclosure: I am now doing some freelance copywriting for the Saint Jude Retreats and Baldwin Research Institute. However, I have always recommended The St Jude Program, and I always will – whether or not I am on their payroll – as it was the program that helped me and I believe strongly in its effectiveness (unless they drastically change what they’re doing for the worse, which doesn’t appear to be in the cards, as new developments in the SJP have been exciting). So, my opinion of them hasn’t changed, regardless of my current work agreement with them. Still, I receive no compensation for any referrals to them, nor for any hits to their site which may come from my site – I am only compensated for my copywriting, which is published by them elsewhere, not on this site. NO posts on this blog are commissioned or payed for in any way by Saint Judes/Baldwin, or anyone else.